Orea Resort Santon*** offers 107 double rooms, 3 suites, 2 family rooms and 1 room for disabled guests. 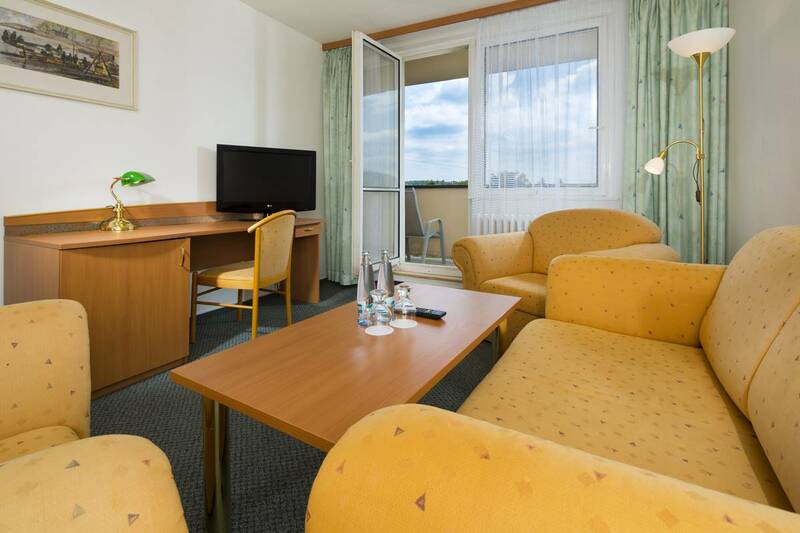 Each room has a balcony or loggia, which offers you from some of them a beautiful view of the Brno reservoir. All rooms are equipped with satellite TV, telephone, and a bathroom with bathtub, toilet and hairdryer. Parking and Wi-Fi are offered at no charge. Rooms in this category provide 18m2 of living space. They are equipped with satellite TV, telephone, and a bathroom with bathtub, toilet and hairdryer. All rooms also have a balcony. Wi-Fi and parking are available at no extra charge. 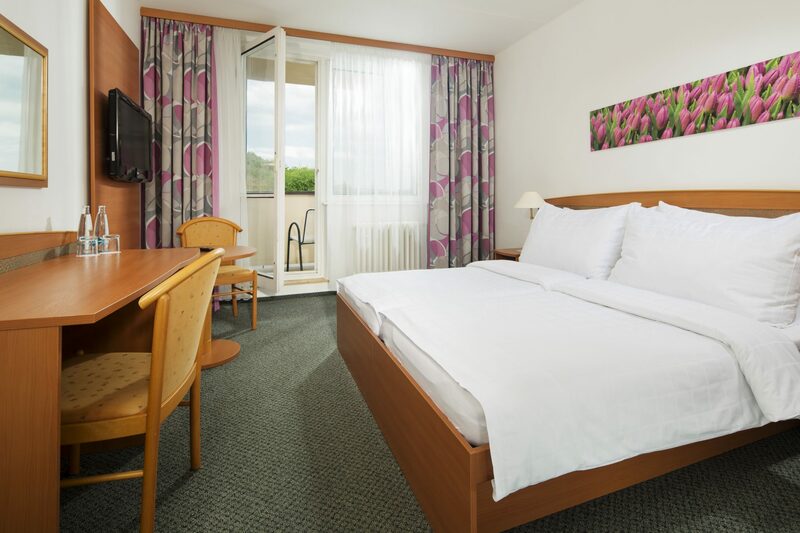 The 36m2 rooms feature a bedroom with double bed and a living room with sofa set. The very best views of the surrounding area are provided by one of the two balconies. They are equipped with satellite TV, telephone, and a bathroom with bathtub, toilet and hairdryer. A refrigerator and mineral water are complimentary. 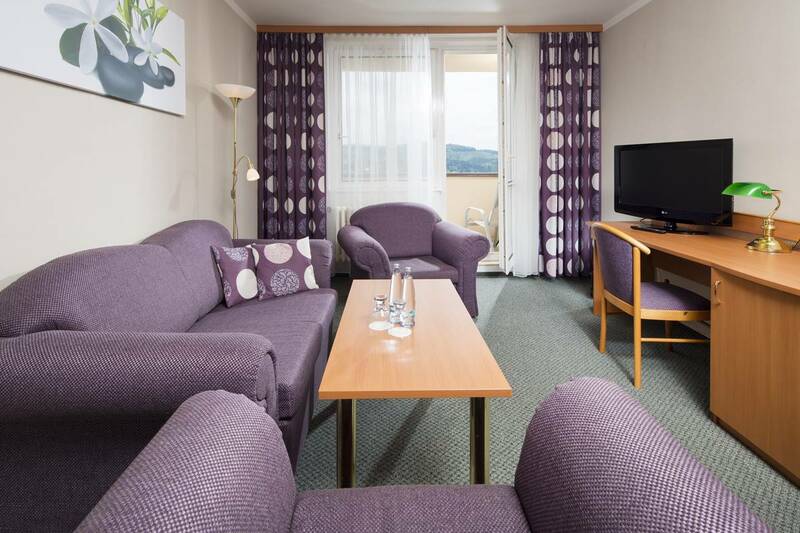 The 55 m² room has 3 separate rooms (bedroom, room with twin beds and living room), dressing room and 2 balconies. They are equipped with satellite TV, telephone, and a bathroom with bathtub, toilet and hairdryer. 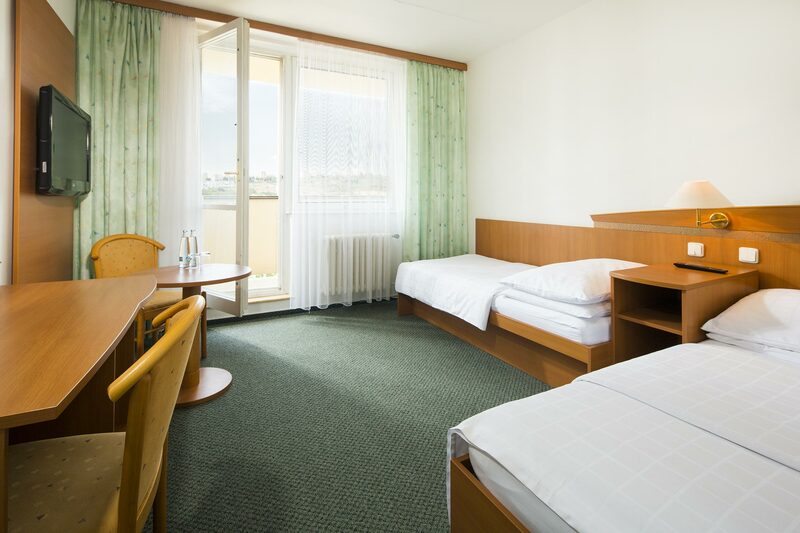 “Family Rooms” are designed to accommodate 2 adults and 2 children up to 12 years of age. A refrigerator and mineral water are provided at no extra charge.